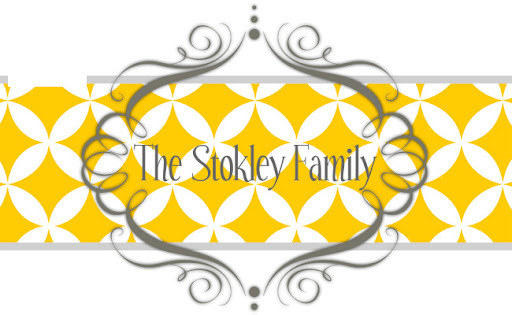 The Stokley Family: Stop looking at me! It has started. Sibling fighting. This is the conversation Ryleigh and Tanner had the other morning in my bathroom while I was getting ready for work. Tanner- "Ryleigh, stop looking at me"
Ryleigh- "I'm not touching you just looking, I can look at whatever I want Tanner." T-"Mom Ryleigh is looking at me!" Me- "Tanner it's not a big deal just ignore her." T- "I can't, she's aggravating me." R- starts dying laughing at how upset Tanner is getting. T- "Stop Ryleigh, I'm serious. I'm going to punch you in the face if you don't stop looking at me." Me- "Tanner it's really not a big deal just go in another room if you don't want her to look at you." T- "Ryleigh, I'm the boss of me and I say who can look at me and I say you can't" Then he literally punched her in the face. Seriously, she was just looking at you. Maybe he's not going to be a sissy after all!